All Aqua Play Filtration Systems are designed to provide superior water purity and built for ease of of use and dependable function. We have teamed with one of America’s oldest and trusted providers of commercial aquatic filtration to be able to offer these exceptional systems at an equally exceptional value. 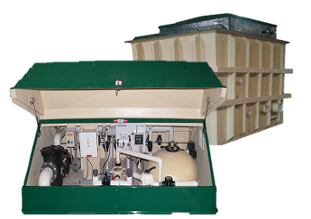 Call to inquire about custom designed systems for larger parks or special applications. Packages listed below may vary slightly to comply with local Department of Health standards and guidelines. 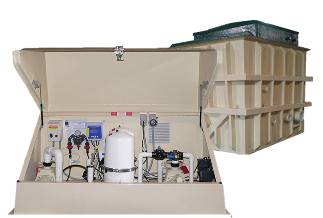 All main components Pentair® NSF certified and pre-assembled into FRP locking above grade enclosure. Electrical panel included and ready for connection. Systems include polymer reservoir. 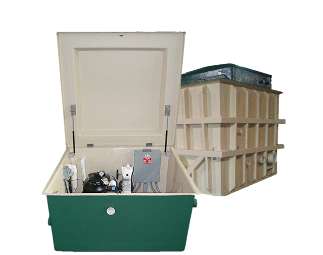 All main components Pentair® NSF certified and pre-assembled into FRP locking above grade enclosure. Electrical panel included and ready for connection. Includes fiberglass reservoir. 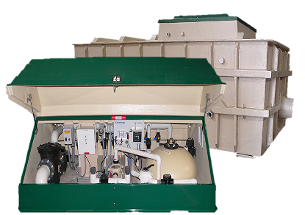 All main components Pentair® NSF certified and pre-assembled into FRP locking above grade enclosure. Electrical panel included and ready for connection. Systems include fiberglass reservoir. 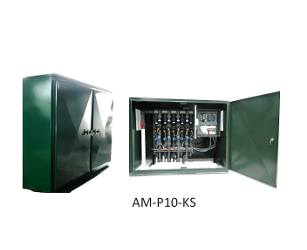 Each includes PLC controller as listed, stainless manifold header, PGA or PEB solenoid valves, schd 80 piping, unions, valves and enclosure. All low voltage wiring complete and ready for line power. 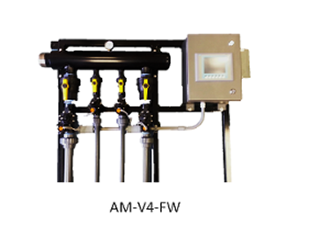 Each includes PLC controller as listed, stainless manifold header, PGA or PEB solenoid valves, schd 80 piping and true unions, adjusting valves. All low voltage wiring complete and ready for line power. 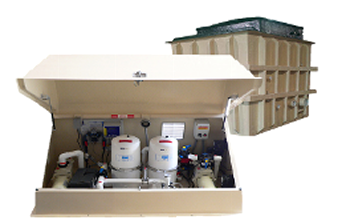 Have questions about our Filtration Systems?